This project examines the historical and social contingent categorization of people with albinism. Because of their conspicuous phenotypes, people with albinism are treated as different from people with ‘normal’ pigment in many societies, in some cases to the extent that their classification as humans has been questioned. The goal of the project is to look at various historical and contemporary forms of classification, which can be observed in different fields (science, magic, popular culture), in order to understand them with regard to their cultural and social contexts. It seeks further to determine which consequences arise for people with albinism affected by specific differentiation practices. A subproject concentrates on the evaluation of academic and popular cultural primary and secondary sources, and a second applies as an ethnographic case study in Tanzania, where people with albinism have been persecuted for years on magical and religious grounds and are currently fighting for their ‘incarnation’. Matthias Krings has been Professor of Anthropology and Popular Culture of Africa since 2011. He was Junior Professor at JGU Mainz from 2005 to 2011. 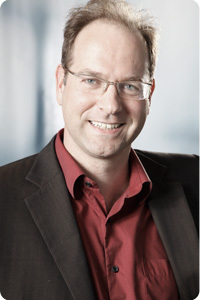 He has also been a research associate at Cologne University (2003-2005) and Frankfurt University (1996-2002). He received his PhD from the Johann Wolfgang Goethe University in Frankfurt and his Master’s Degree in Ethnology from JGU Mainz in 1998. African Appropriations: Cultural Difference, Mimesis, and Media. Bloomington: Indiana University Press. (with Onookome Okome, eds. :) Global Nollywood. The Transnational Dimensions of an African Video Film Industry. Bloomington: Indiana University Press. (with Thomas Bierschenk and Carola Lentz, eds. :) Ethnologie im 21. Jahrhundert. Berlin: Reimer. Marke „Osama“. Über Kommunikation und Kommerz mit Bin-Laden-Bildern in Nigeria. In: Peripherie 113/29. P. 31–55. Conversion on Screen. A Glimpse at Popular Islamic Imaginations in Northern Nigeria. In: Africa Today 54/4. P. 44–68.